This was a very personal goal for me. 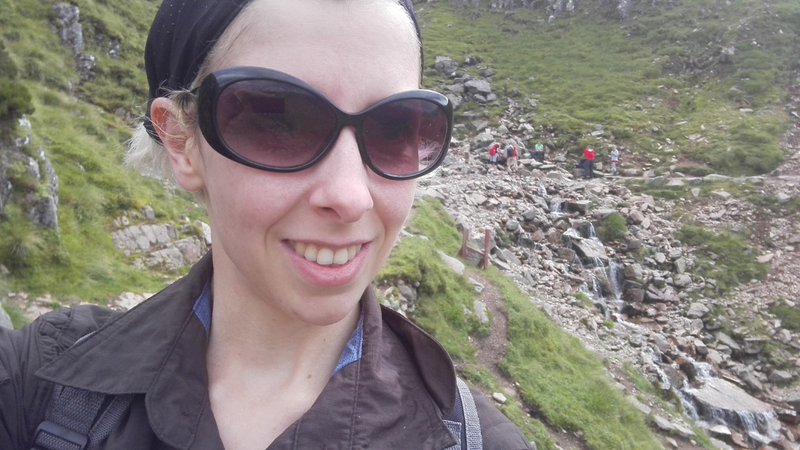 It was the highest priority on my 30 list, and after climbing Snowdon and Ben Lomond, I wondered whether we could really do it. The first day of our Scotland trip, we had planned to do it, but I was taken ill with a severe migraine that night so we put it off. The second day, after much ado, we called it off. The weather was heavy rain. The third to sixth days we were in and around Aberdeen. As our holiday drew to a close, I felt more and more miserable and started acting like a complete brat. I didn’t work out why until day 6 when I hit my head and nearly died (you’ll remember this was confirmed by a doctor when we got back and I landed in hospital). The thing I was most regretting? 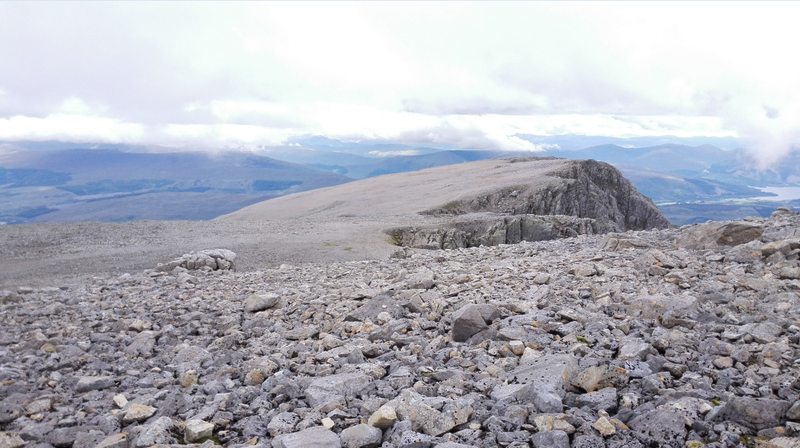 That I would never have even climbed Ben Nevis. Yes, there was an “even” in there. And this is how my lack of sense of achievement undermines my confidence. So on the evening of the sixth day, I drove us back to the west side of Scotland and we slept at the foot of the mountain. In the morning, we packed some snacks and water, and began our ascent. 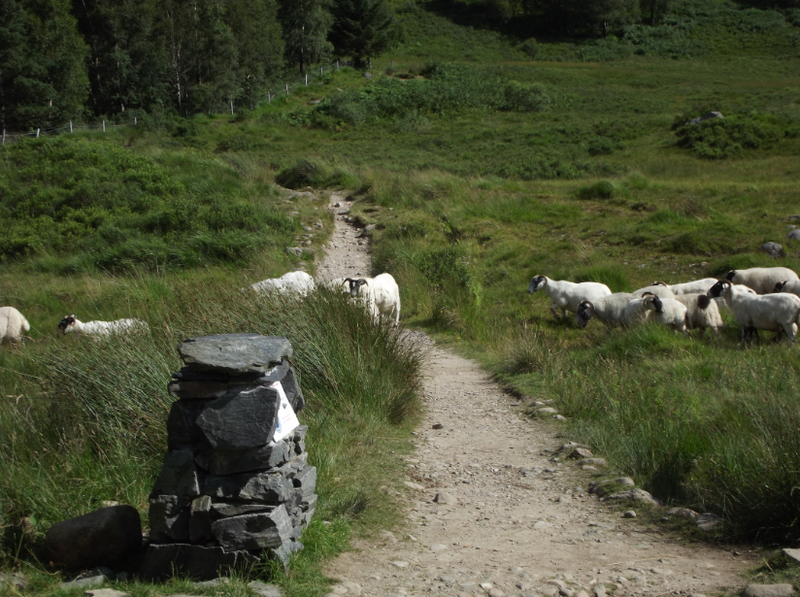 Rush hour in Scotland, several hundred sheep crossing the Youth Hostel path on Ben Nevis in the late afternoon (on the first day when we didn’t actually climb it). 1. Those respect the mountain people take it too far with their scaremongering. If I’d known it was going to be as straightforward (I did NOT say easy) as it was, I would’ve done it on day 2. I wore trainers and I had my waterproof and gloves. 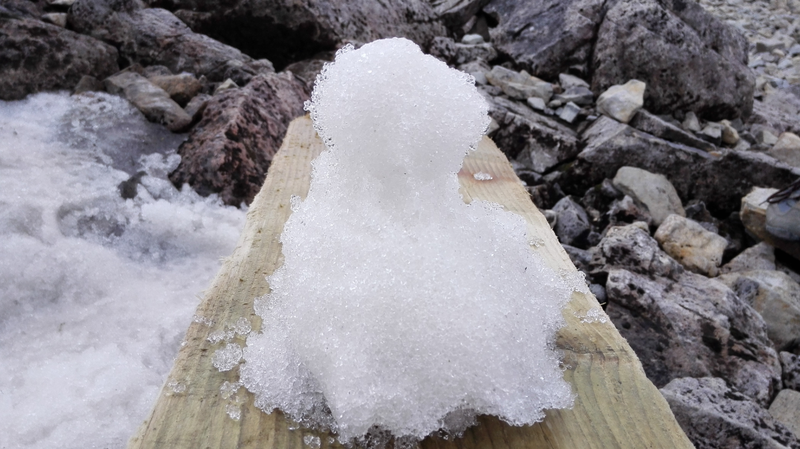 We built a snowman from snow on the slope. It was the size of my fist, and sits on a 2×4 plank of wood. Curiously the lack of ice axe and crampons did not hinder us. 2. You don’t need a fancy hydration system. I took a plastic 500ml bottle of water, I think 750 would have been optimal but a litre would have meant expending too much energy on carrying it up. There is a waterfall around 2/3 of the way up where you can refill anyway. 3. You don’t need trail mix, energy bars, kendal mint cake and other expensive walkery foods. I took some ready-made Morrisson’s Chicken Salad sandwiches, a cereal bar and a banana. If I’d been closer to home, I would have made my own sandwiches. 4. You only need 7 hours of daylight left to set off (you can do the last hour in twilight/darkness if you have a torch), so if it’s 11:00am in August you probably haven’t missed it for the day (we thought this on 3 separate days). The waterfall that you could refill bottles from (we stopped for lunch beside it). It goes on up but my head is in the way, despite my best efforts. 5. You don’t need a headtorch, a normal torch will do (or the flashlight on your phone if you’re confident about the battery life) and you don’t need one torch each, one between two or three is enough unless you’re stupid enough to separate from your companions. 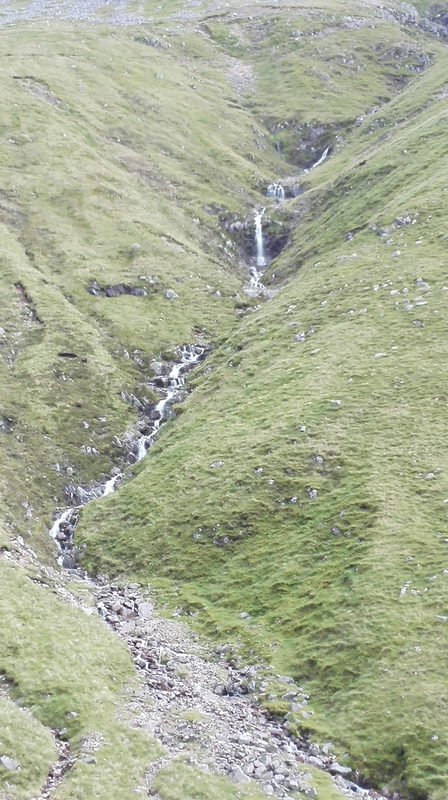 The drinking water fall, from in front of it. 6. Wellies and a map are FAR more useful than crampons and an ice axe. 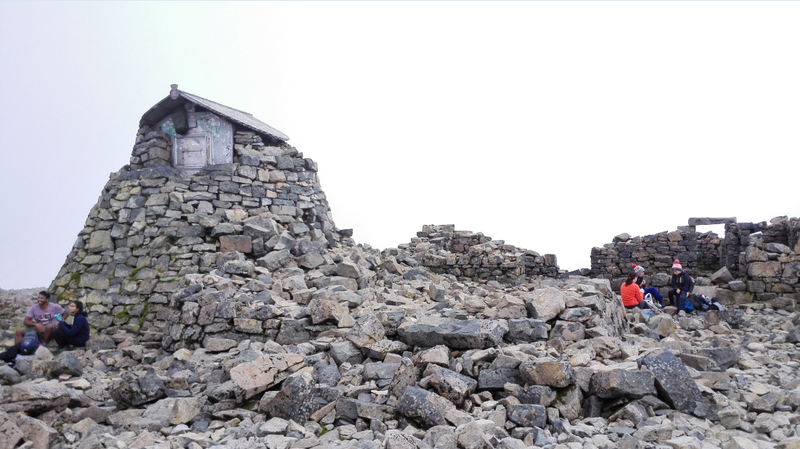 The remains of the old Victorian observatory on top of Ben Nevis. 7. More people attempt it than we saw at the summit. Loads of people (about 50%) turned back before the top. While this is fine, I do suspect they then go back to work telling everyone they climbed Ben Nevis when they didn’t actually get to the top. The trig point at the top, proving we made it. As the little sign to my right so rightly observes, I do have a weak edge. 8. The top has an emergency shelter so if the weather turns, you can hide out (this one’s more of an observation than a lesson). The emergency shelter is in that hut at the top of the remains of the old observatory. When we reached the summit, I didn’t really have a sense of achievement. I guess I must be developing a good sense for things such as the top of the mountain really being a halfway point not an end. 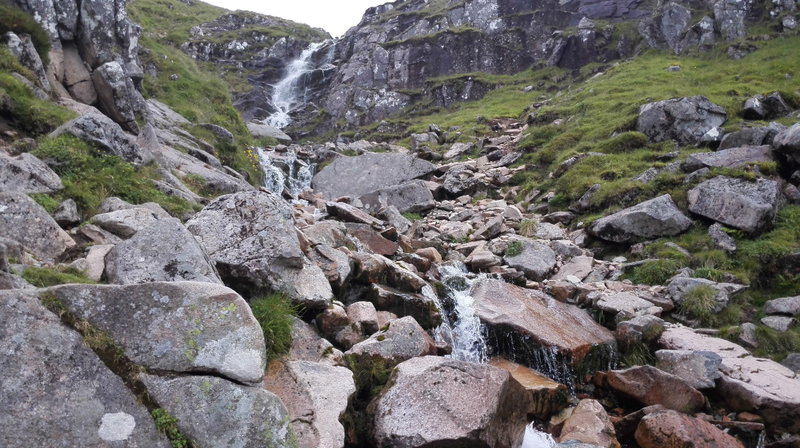 And this was borne out, because (as with Snowdon) the descent was far more painful on my poor damaged lower leg bones and on my feet. When we reached the little wooden bridge (we took the Youth Hostel Path as it’s got free parking and less hikers before it joins the “tourist path”), the magnitude of the achievement struck me. Not the physical demands because let’s be fair I’d barely done any exercise for a month before we climbed it and I found it was only the compression on my leg bones on the descent that caused an issue. The achievement was that I was able to fulfil a promise to the me from the past who wrote the 30 list. 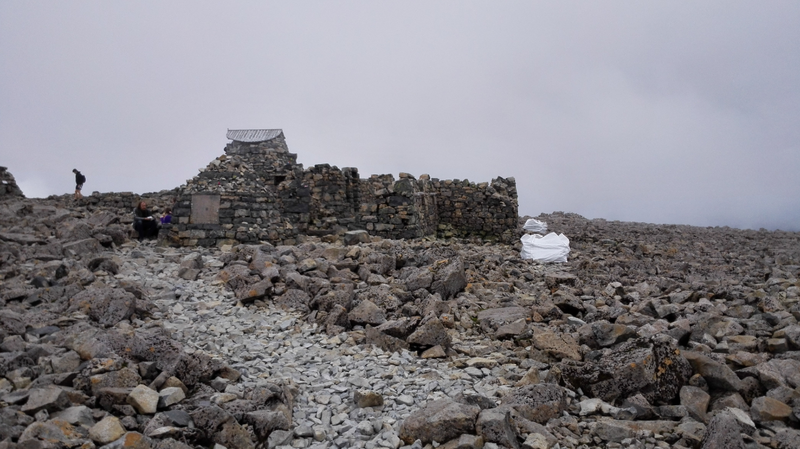 Ben Nevis was one of the most important things on the list. A gateway to bigger things. I guess now I need to try and work out what those bigger things were. 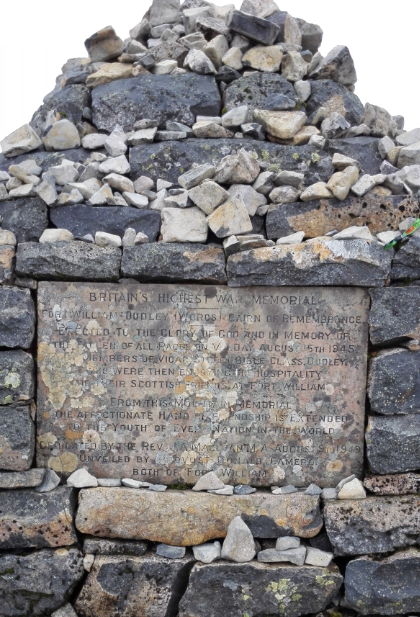 Britain’s highest war memorial. Because one generation’s pretentious junk is another generation’s national treasure. Actually if you read it, it’s for soldiers from Fort William, the nearest town, which makes more sense than the “Nepalese War graves” all over the UK – why oh why aren’t they home on their mountains where their hearts belonged? Didn’t they give us enough already? This was a Travel Tuesday post but it’s taken my internet 8 hours to upload all the pictures even though I’ve well reduced the image sizes. We really need to get the internet fixed but we have no way of contacting BT since our phone line being partially severed is the whole problem. Nice one. 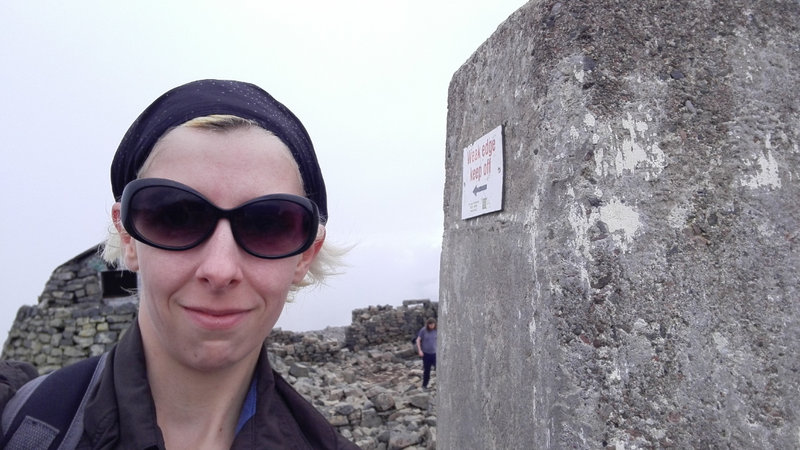 Just did Snowdon last weekend and learned lots of lessons before tackling Scafell Pike and Ben Nevis….mainly make sure I take my butties with me, lol . Yes, that’s very important as neither SP nor BN have a halfway cafe!